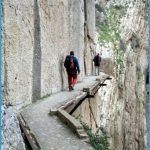 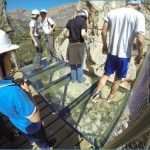 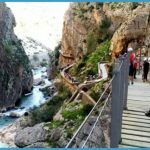 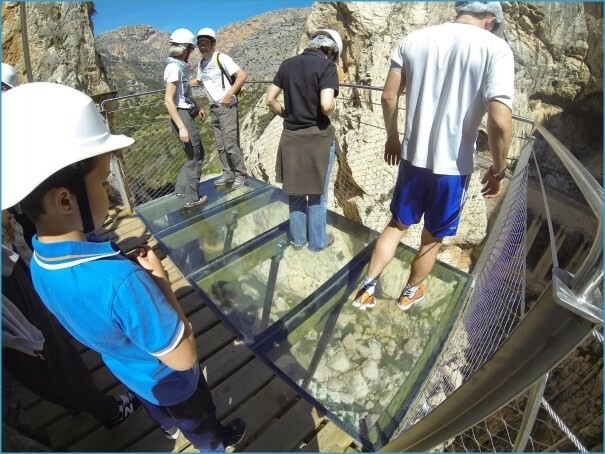 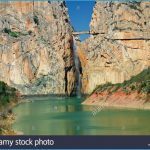 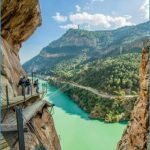 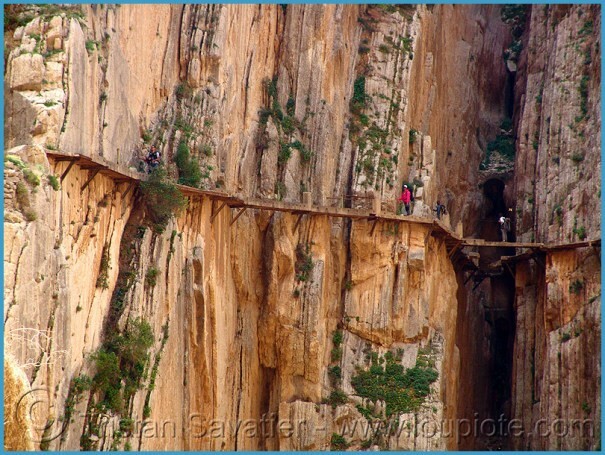 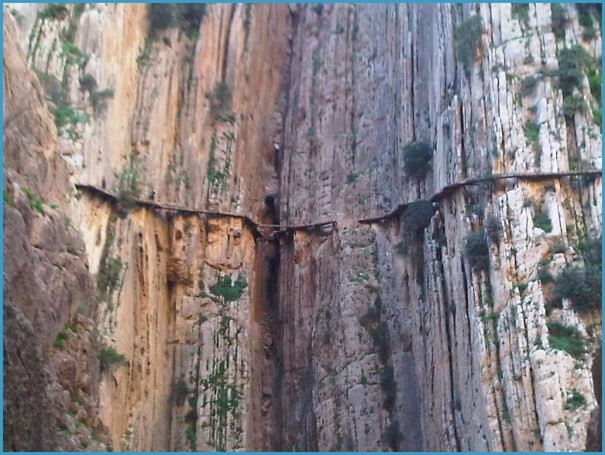 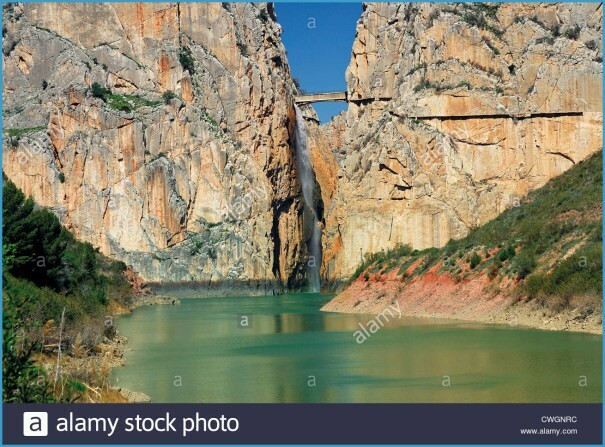 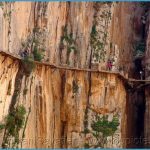 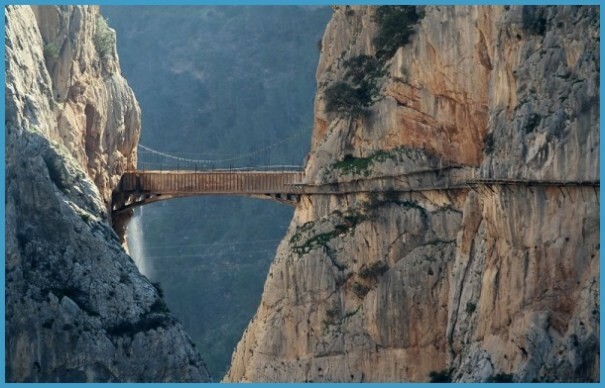 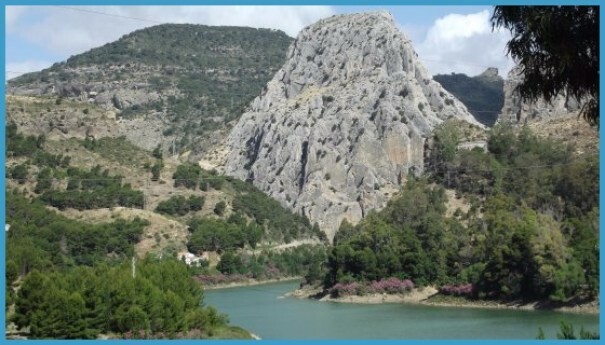 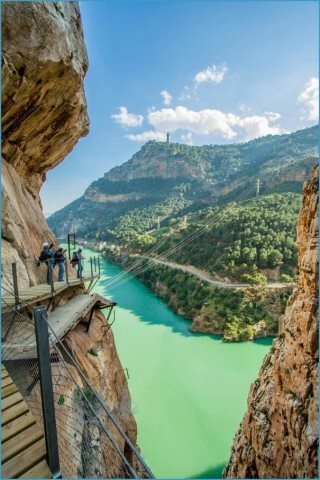 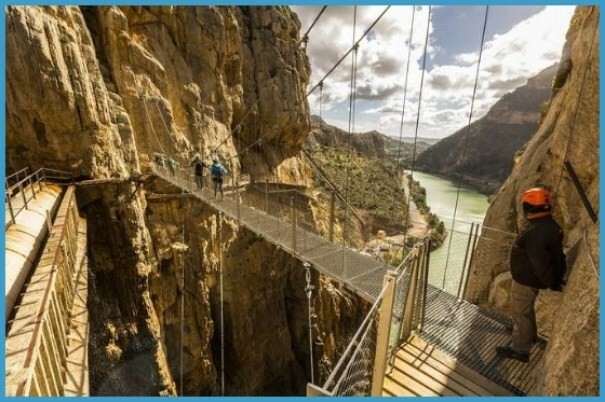 The Walk of Death Welcome to El Chorro in the province of Malaga, home to the Gaetana’s gorge and the world-famous Camino del Rey, the King’s little Pathway. 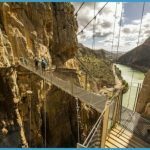 Several people have died in the last couple of decades making the crossing. 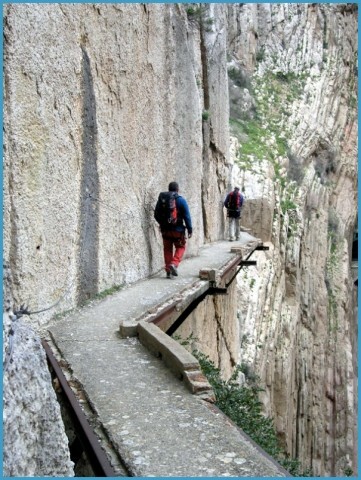 So it is important to use the experience of a guide, professional equipment and above all, to be sufficiently prepared. 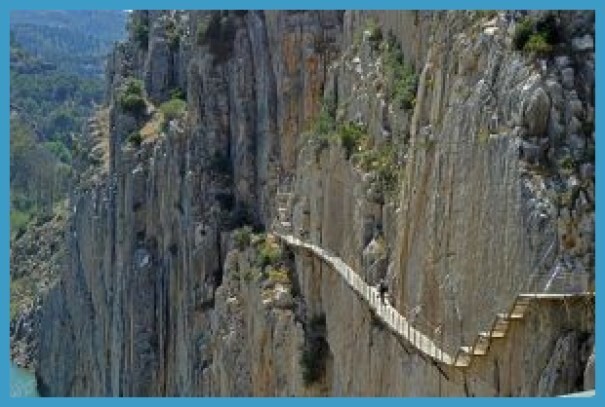 Most of the path is protected by a safety cable, although it is thin and of questionable strength. 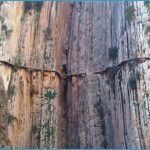 You can clip on to progress relatively safe. 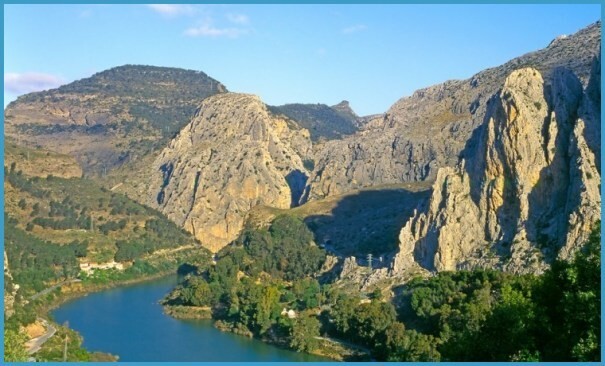 The Camino is approximately one metre wide and was built using bricks and sand, and remains of the old railway that used to run through the gorge. 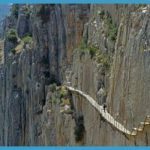 Most of the original railing has been destroyed, and you’ll find huge holes in the Camino which you have to cross either by climbing the walls or walking along a rusty rail. 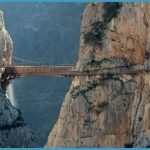 The footbridge was built in to facilitate the transit of workers between two hydroelectric power stations that were located on both sides of the gorge. 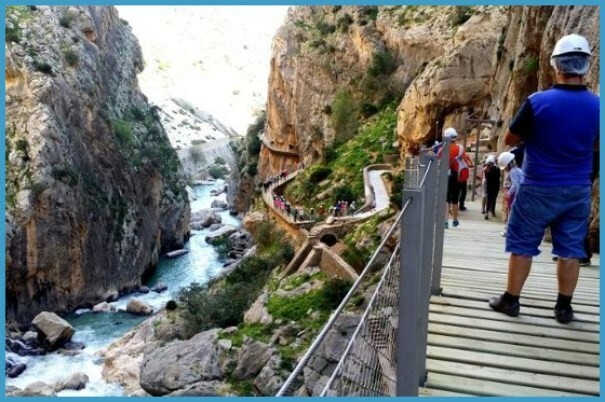 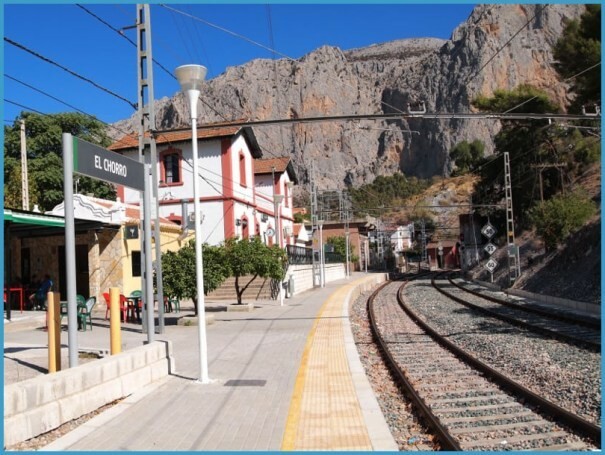 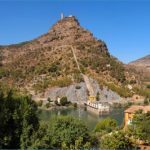 There is no doubt the Caminito is a challenge for those wishing to cross it yet it is an exerience that is worth trying before it demolished or reformed. 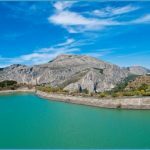 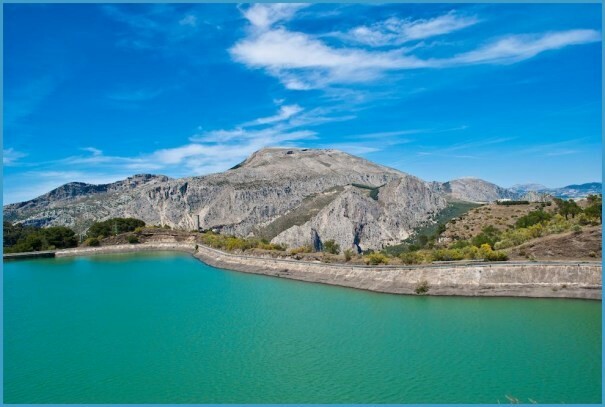 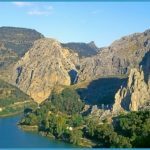 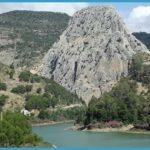 Another hidden gem in Andalusia.